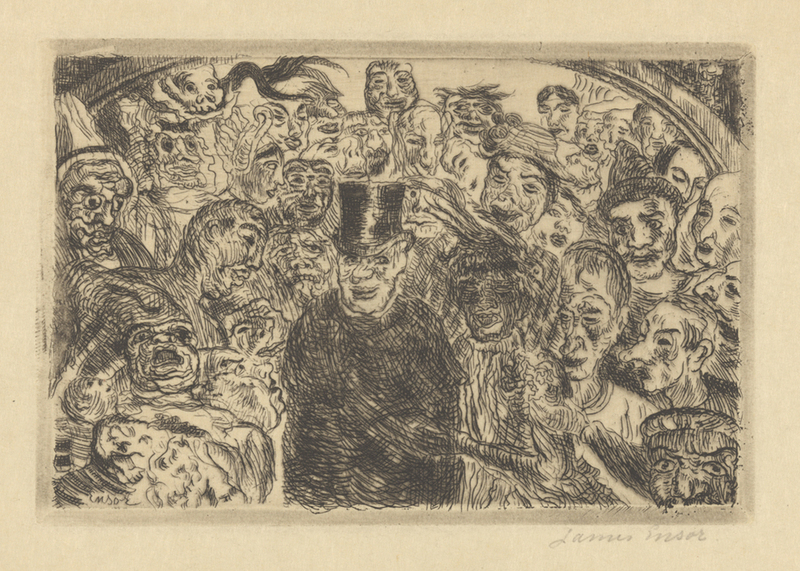 The exhibition James Ensor & Alexander Kluge: Dark Centuries consists of an unprecedented convergence of etchings and engravings by the Belgian artist James Ensor and a selection of previously unseen films by the German film-maker, media theoretician and writer Alexander Kluge. 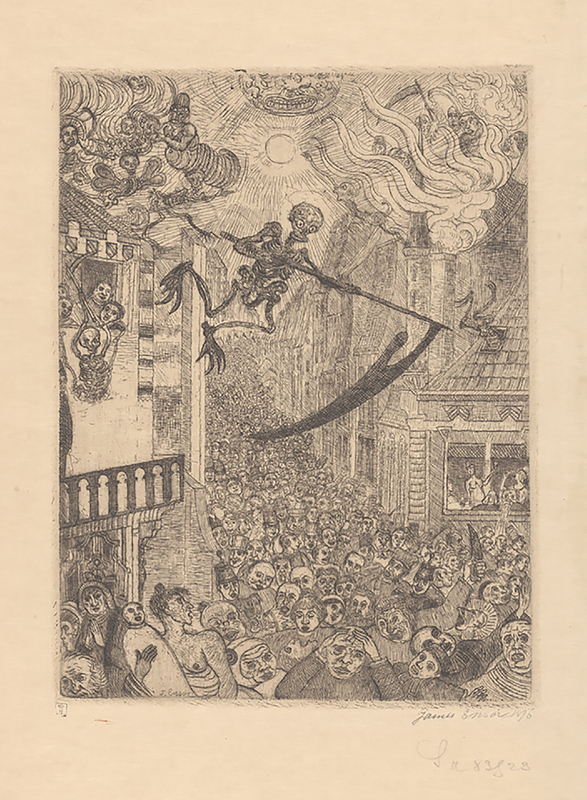 More than thirty prints by James Ensor, produced between 1886 and 1904, map out a route along which we encounter scenes of crowds, by turns petrified and riotous, and a society in masks, parading in the guise of its demons. 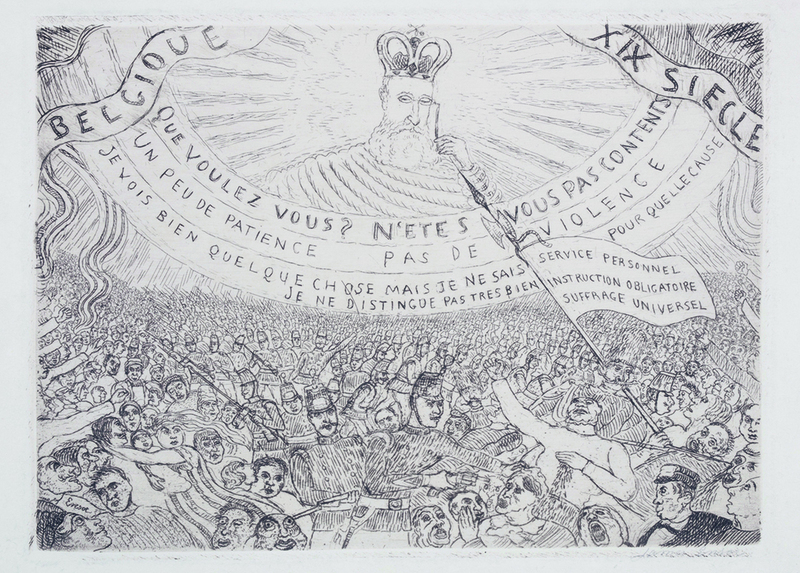 If Ensor castigates, on the altar of the copper plate, a society entirely prey to its inner madness, Kluge seeks to militate, as the inventive heir of the critical theory of the Frankfurt School, against the baleful influence of the entertainment industry. Nurturing differing degrees of defiance in the face of mass logic and the upheavals of their centuries, the two artists produce a body of resolutely grotesque works. 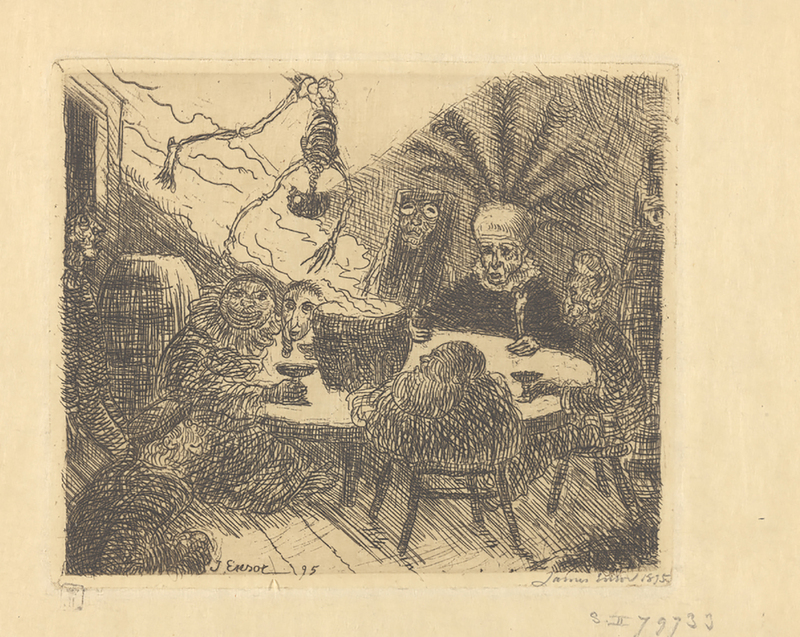 The ontological grotesque of Ensor has its counterpart in Alexander Kluge’s grotesque of the conscience. 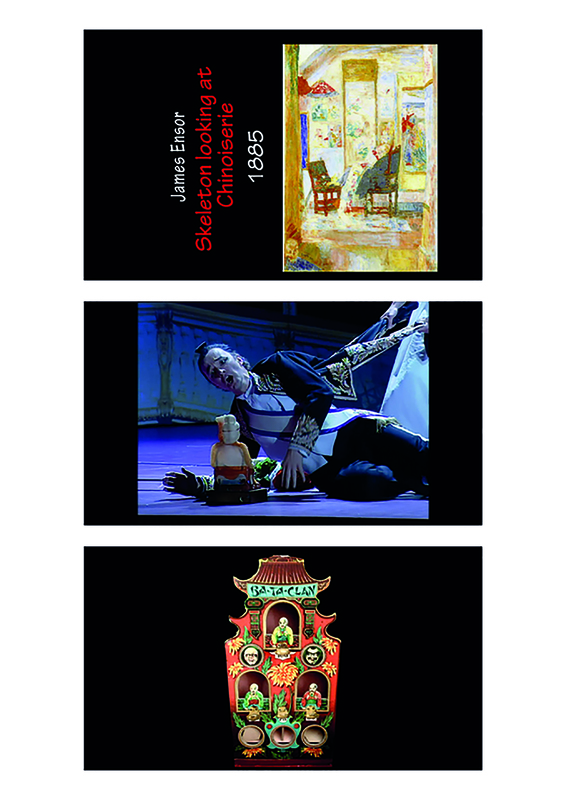 The eleven films which Kluge has chosen for this exhibition, among them Homage to James Ensor (2018), are hallmarked by his thinking, which seeks to introduce into television “some traces of the best we have, that is to say music and literature, without modifying it or adapting it to the needs of television, but in the manner of a foreign body”.2 Kluge’s migration, at the end of the 1980s, into the enemy territory of audio-visual, is not without an affinity to James Ensor’s adoption of printmaking – a genre which allowed him to withdraw, as from 1886, from the circles of artists critical of his painting. 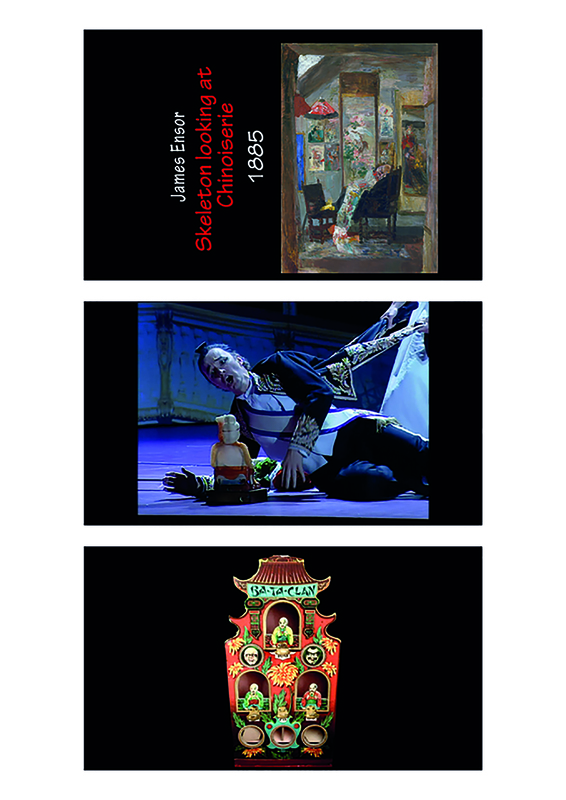 James Ensor & Alexander Kluge: Dark Centuries constitutes the German film-maker’s first exhibition in a museum in France.